It can be seen that most workers were women with a few young men mixed in [in fact, 101 women and 16 men at this plant]. Ladies wore white caps and aprons and boys, white shirts and short pants. With rubber gloves on, they stood and worked on both sides of the assembly lines. The design of this Kaohsiung plant was copied from that in Hawaii, then the world's biggest canned pineapple producer. It emanated a sense of cleanliness and efficiency. 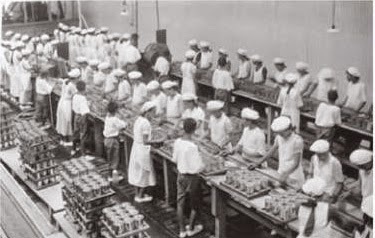 Each assembly line worked at a pace of 50 cans per minute, and the factory total output was 56,000 cans on each 10-hour workday. It was also a showcase, a must-see sight for VIPs visiting from Japan. The 台湾合同鳳梨株式会社 was created in June, 1935, by the Japanese Colonial Gov't, essentially a monopoly, which bought out 53 existing producers and consolidated their operations. In conjunction with factories affiliated with 東洋製缶株式会社Toyo Packing Corp, Ltd, large-scale production soon commenced in 36 plants (streamlined from the original 78). This buy-out was not without Taiwanese resistance, however. The 大甲鳳梨缶詰商会Taiko Pineapple Packing Business Assoc with 60 workers, headed by Mr 許天徳, remained independent. And in October, 1935, 許's company became the Taiwanese-owned 大同拓殖Datong Takushoku after relocating to 石垣島Ishigaki in Okinawa, and stayed active in pineapple growing and canning. 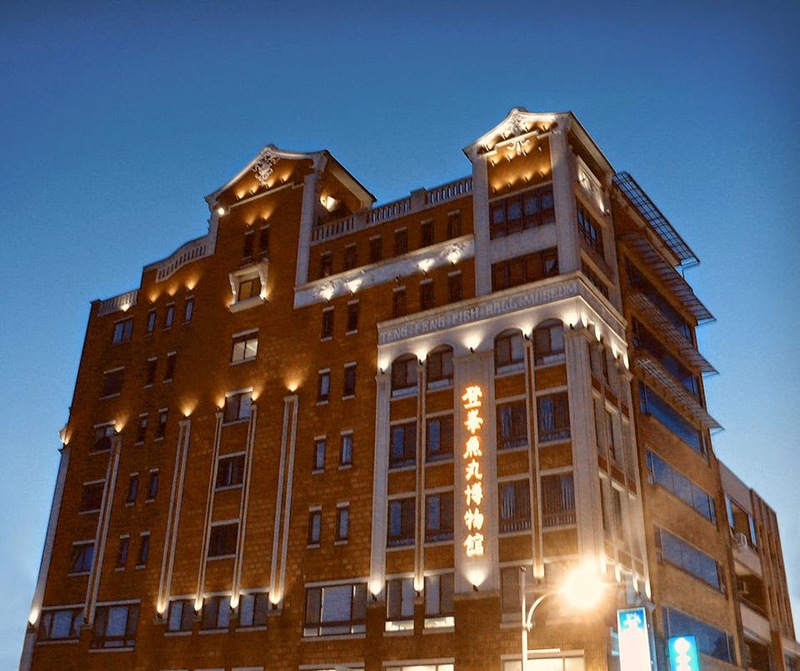 [Note: to escape being absorbed into gov't monopolies, Taiwanese businessmen often moved off-shore to Canton, Hainan, or Okinawa, outside the sphere of influence of the Japanese Colonial Gov't.] Further, because of the high profitability, underground manufacturing and shipping (to China and Japan) also continued unabated. The demand for war materiel during the Pacific War, especially metal, had put an end to canning of anything in Taiwan, including pineapple. Canned pineapple production did resume after the war reaching a height in 1971 (see Part 1). 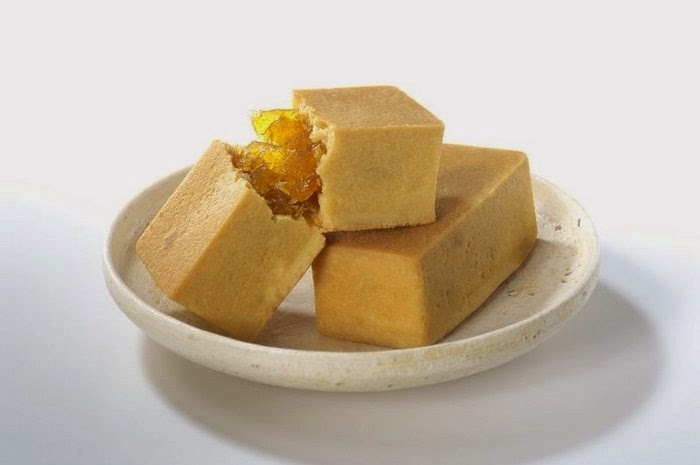 It is fairly well known that the famed 鳳梨酥, pineapple cake, in Taiwan is made with winter melon fillings, not a trace of pineapple inside. Vendors claim that this has always been the preference of the consumers. That may be, but why not just call it winter melon cake a la truth in advertising? Even more puzzling is the abundance of pineapples in Taiwan that, inexplicably, has not been taken advantage of. Fortunately, some vendors have finally seen the light and begun to produce bona fide pineapple cakes (e.g., Sunny Hills), much to the delight of (some) foodies world-wide. Pineapple is not indigenous to Taiwan. Presumably, it was native to South America and the Europeans brought it back to the Old World, etc, etc. 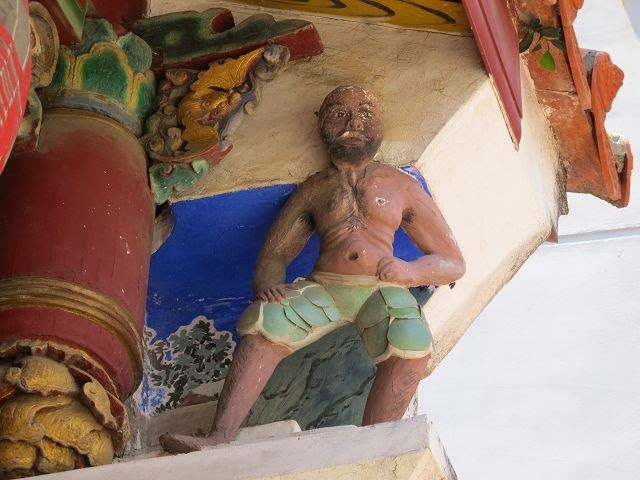 In any case, it has found its way from China to Taiwan during the reign of emperor Kang-Xi康熙. The Japanese colonial era saw the industrialization of pineapple production; it was when Taiwan began to export canned pineapples - until interrupted by the Pacific War. 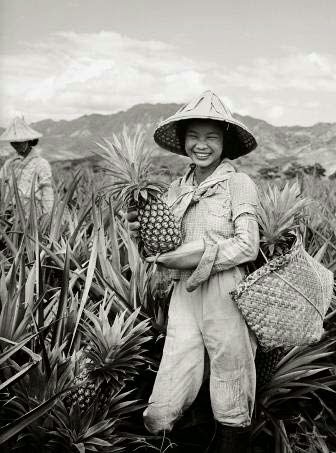 After the war, through various promotion schemes, 1971 marked the highest point of pineapple cultivation expanding to more than 16,000 hectares in southern Taiwan. It was also when Taiwan became the world's largest exporter of canned pineapples, shipping out a total of 4 million plus commercial crates. Competition from SE Asian nations, however, has greatly reduced Taiwan's market share; although domestic consumption still remains strong. Through the tireless efforts of folks at Taiwan Agricultural Experimentation Station (台灣農業試驗所), R&D of the cultivars has yielded numerous new strains, among the major ones are 台農 Nos 1 to 20, each with a popular nickname. In comparison, pineapples in Hawaii come in a mere 2 strains, MD-1 and MD-2. 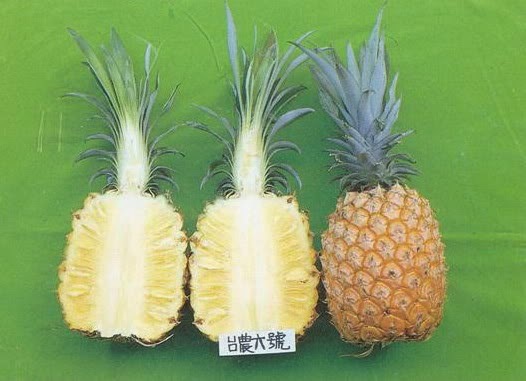 In the Pineapple Kingdom, Taiwan, a pineapple is not just a pineapple, even though they all look the same. 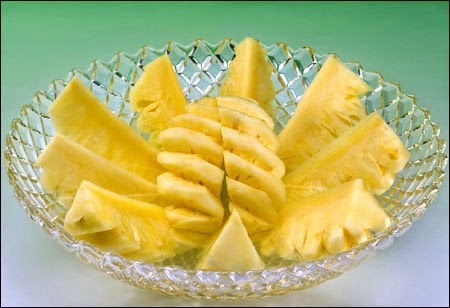 Wedges dipped in salt water can reduce the pineapple "sting"
How to pick the right pineapple to purchase? As lard-making, this is also a skill requisite of all Taiwanese housewives, essentially the same diagnostic technique used by practitioners of Traditional Chinese Medicine, i.e., judgment based on weight, shape, color, smell, and sound (when tapped with fingers). Factoid: Pineapple 鳳梨 is pronounced 旺梨 ong-lai in Taiwanese, the same as 旺來, meaning "prosperity arriving". They are often given to friends as a wish for good luck. The 1935 map of Tamsui (here) has marked where watermelon were cultivated, for example, a patch near Tamsui Shalun Beach (where clubhouse 和樂園 was located). Planting was in the winter, in time for summer harvests. Most locals recall basketball-sized watermelon with dark green exterior and crimson red flesh. Usually slices are chilled on ice, and salt grains sprinkled onto them immediately before consumption. The slight saltiness in fact intensifies the sweetness. Simply heavenly, needless to say. Above: Taiwan watermelon by the decades: (A) 富光FuGuang and (B) 鳳山一號Feng-shan No 1 seedless watermelon, both of the 1960s; (C) 金蘭Golden Orchid, the first to win an All-America Selection Prize, and (D) 新小鳳New Little Phoenix both developed in the 1970s；(E) 特小鳳Special Little Phoenix and (F) 鳳光FengGuang, both of the 1980s；(G) 黑美人Black Beauty, (H) 秀玲HsiuLing, and (I) 黛安娜Diana all developed in the 1990s；and (J) 甜美人Sweet Beauty, in the 2000s. The acreage of watermelon growth has increased from 1,500 before 1950 to a peak of 36,257 hectares in mid-1980, now down to 11,715 hectares, still quite sizable. And the cultivation fields have shifted from the initial mid-Taiwan, to southern, now to eastern Taiwan. 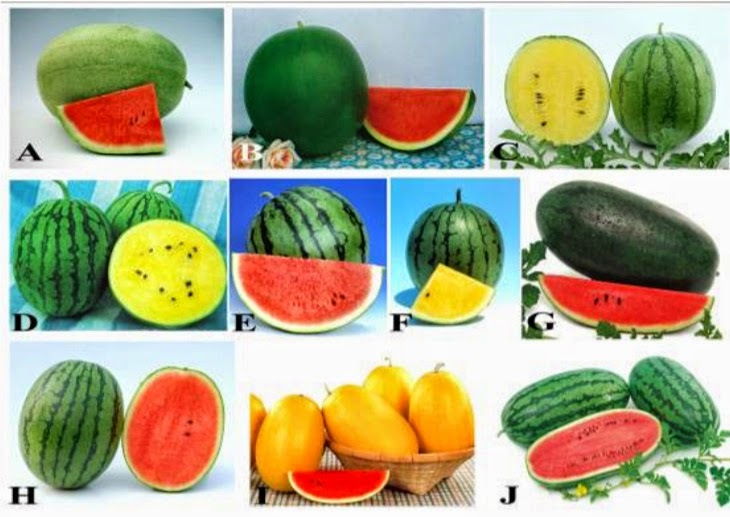 There are four categories of watermelon crops, (1) regular, (2) miniature, (3) seedless, and (4) seeded. Among them, (4) was grown specifically for seeds, from which the 瓜子 snack is made; unfortunately, this category has been wiped out by cheap products from China, it is no longer in production. There is also no such thing as a pure watermelon vine. Watermelon is grown from twigs grafted onto roots of other vines such as 蒲瓜 (hulu), winter melon, 絲瓜 (loofah). and pumpkin. And the rumor that yellow-fleshed watermelon is the original strain which was overwhelmed by the red-fleshed ones appears an urban legend. Currently, the most popular regular-sized red-fleshed watermelon is 華寶HuaBao. Little known factoid: The best-tasting watermelon is in a state of Shua (沙）（Taiwanese, meaning sandiness) ripeness. Over-ripen watermelon has started to ferment and the flesh would become disturbingly soggy. It remains a great mystery as to what happened to the Cafres, the Black Rifle battalion, after the fall of Ming-Cheng Tung-Ning Kingdom in 1683. They had previously served both Koxinga's father 鄭芝龍 and Koxinga himself well in combats and as personal/palace guards. The last known action of the Cafres was to follow Lady Tung's order and execute Cheng Jing's illegitimate son Cheng Ke-Chang to make way for the younger, lineage-based heir-apparent Cheng Ke-Shuang. This would have occurred near the end of the Tung-Ning era (ca 1682-3). It is highly doubtful that the Cafres were allowed to stay in Taiwan since all Ming-Cheng soldiers were forced to penal colonies in China. It is also equally doubtful that they were repatriated back to Cafreria as freemen, if ever. Assimilation into the general population remains a possibility since some had married Han women; although this is yet to be verified.